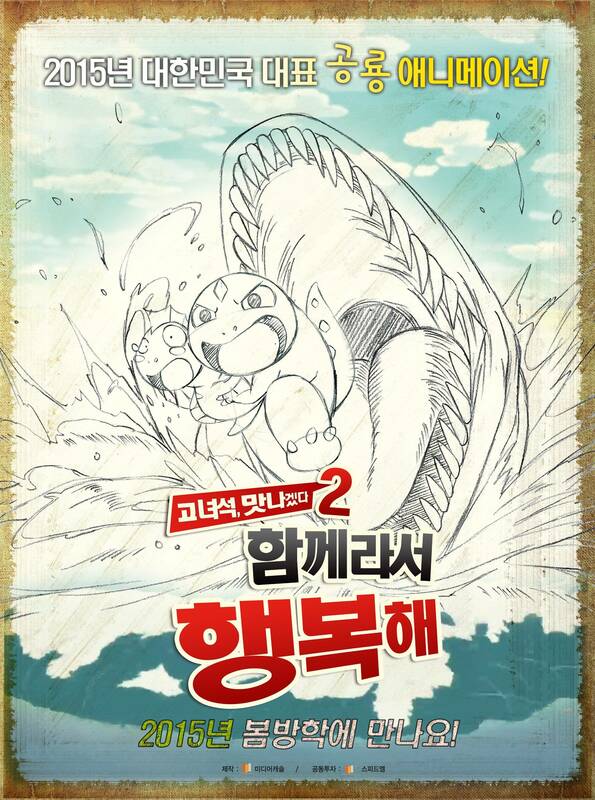 Upcoming Korean movie "Tasty 2: Happy Together"
"A little T-rex named 'OO' is born!" The Cretaceous Period grasslands were a peaceful time for dinosaurs. T-rex daddy Jestar and mommy Sarah had a son named 'OO'. He grew up with lots of love and wants to become a T-rex just like his dad. Meanwhile, another T-rex named Bald, is a greedy and savage one, threatening the peaceful life of other T-rex. 'OO' loses his mother to an earthquake and his father dies trying to stop Bald from disrupting the peace. Bald is now after 'OO' who is all alone. 'OO' gets away from Bald and meets Sniffy and Kirari his new friends. They realize all dinosaurs, either herbivore or carnivore, are able to get along and become friends. 'OO' grows up to be a brave and wise T-Rex, but one day, the grasslands are in danger of being broken up of its peace, all because of Bald. 'OO' realizes he's the only one who can stop this and recalls what his father said, "There's something stronger than strength". Will 'OO' be able to protect the grasslands from Bald? What is stronger than strength? Upcoming Korean movie "The Story of Ong-nyeo"